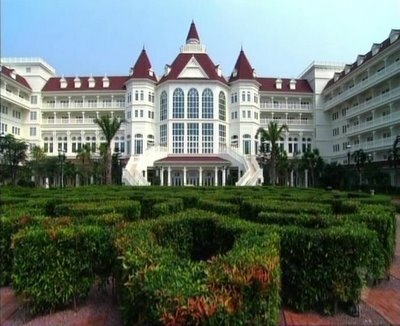 Since yesterday I was comparing different versions of the Tower of Terror attraction, I thought it might be interesting to compare the disneyland hotels around the world. 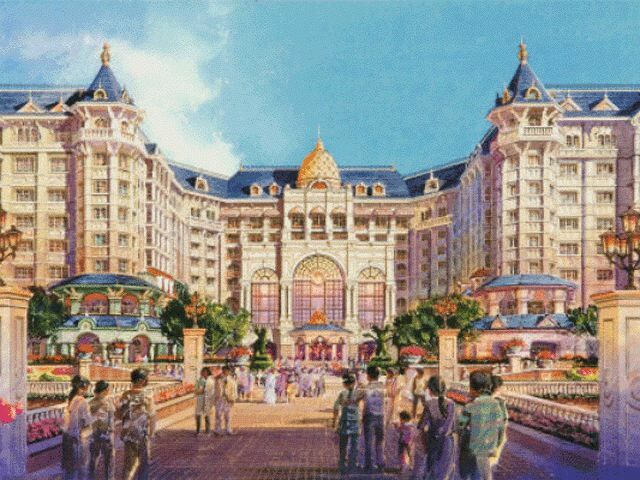 Starting backwards, we'll present you with the new Tokyo Disneyland Hotel. 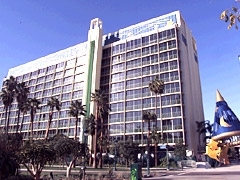 It opens in April, 2008. It follows the Victiorian model that is used for much of Disney theme park design. 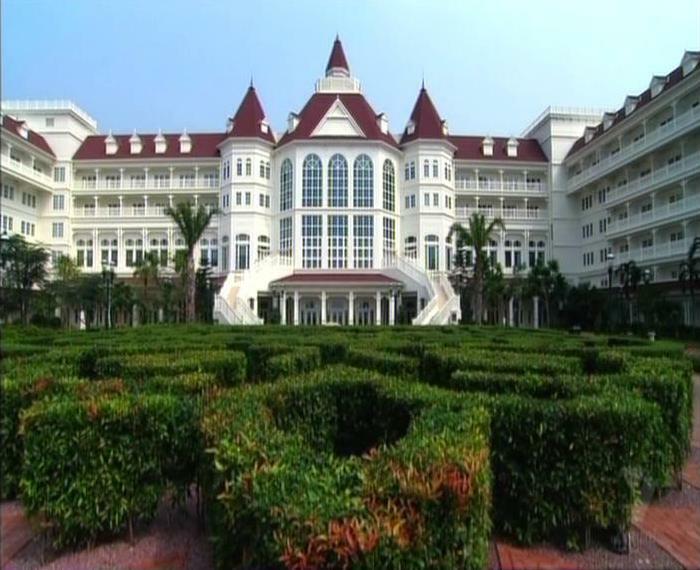 While it looks simular to the other resort hotels, it has some unique aspects of it's own. The center dome and blue roof being the main difference. 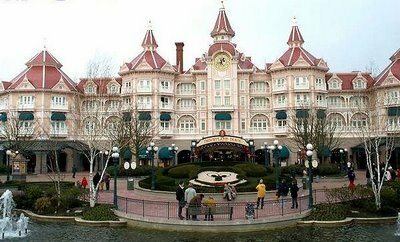 This is the Disneyland Hotel Paris. 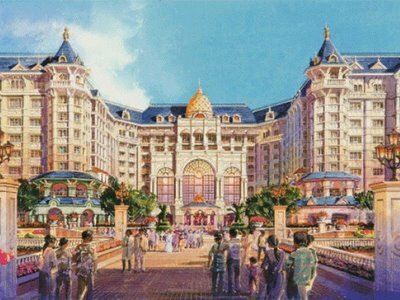 It's lovely, and has the great feature of being the first Disneyland Hotel to be situated right in front of the park(Tokyo Disneyland Hotel will do this as well). And here is the Grand Floridian, the hotel that was the great inspiration for all the others. 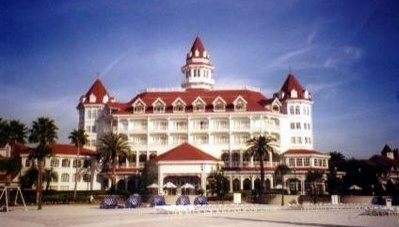 I know it doesn't contain the "Disneyland Hotel" name, it isn't even called "Walt Disney World Hotel", but it is considered the flagship hotel of WDW. So even without the name, it technically IS their version of the Disneyland Hotel.